The stable of Paul Peter stunned with a winning double from his raiders, including the Arc-En-Ciel bred Fort Ember – a grand-daughter of Kahal who took home the Gr2 Gold Bracelet from favourite Nightingale by two lengths. 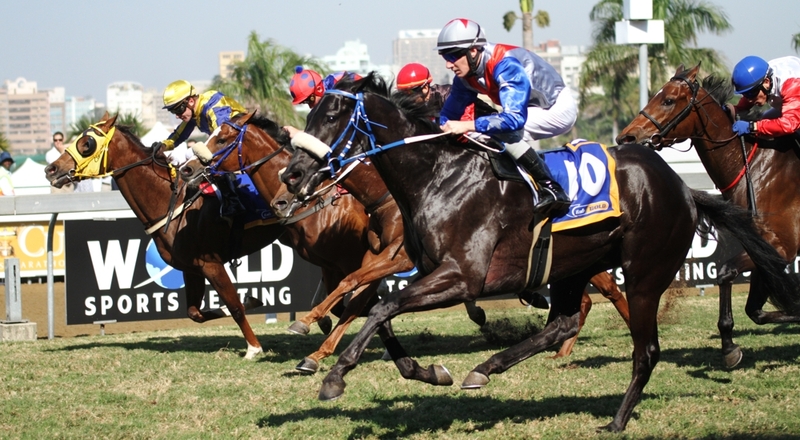 Other KZN horses to impress was Scott Bros’ Matador Man who ran a phenomenal third in the Gr1 Champions Cup, after not jumping out the stalls on terms and trailing by four or five lengths. His Crusade half-brother Subtropical also caused a stir when the handsome colt won the second race of the day – giving Crusade his seventh winner of the season (six in South Africa). The day started off with Subtropical in Race 2 winning in the Burnard colours of the famous red, white and blue “V” silks, in partnership with breeder Robin Scott of Scott Bros. It is the first Crusade to have won that is raced by his breeder. The half-brother to Gr1 placed Matador Man flew up to the finish over 1600m, with a Middlefield-bred Byword finishing third and First Crusade, under star jockey Anthony Delpech, finishing fourth. 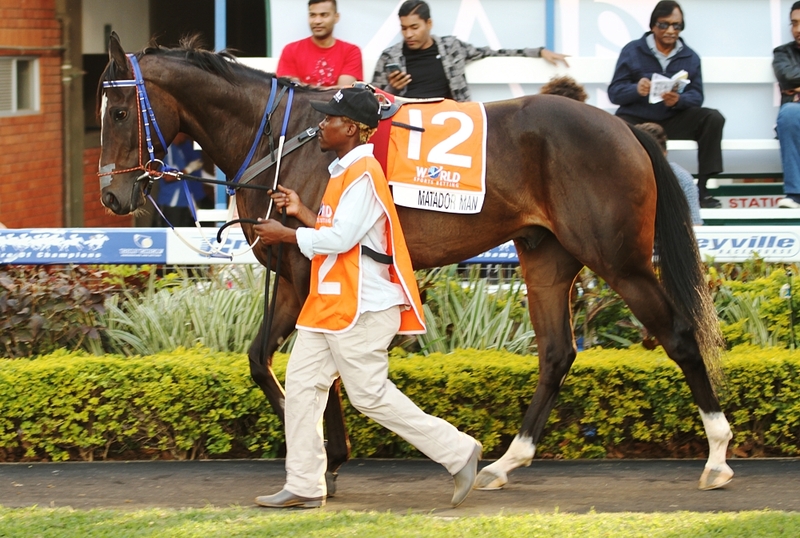 This is the seventh winner for Gr1 Middle Park Stakes winner Crusade (sixth in South Africa with Black Type Butchie Boy winning in Zimbabwe) for the season. Subtropical’s dam Sahara (by Mogok) is proving herself to be a broodmare of note – producing three runners and three winners – Desert Fighter, his full brother Matador Man and Subtropical. 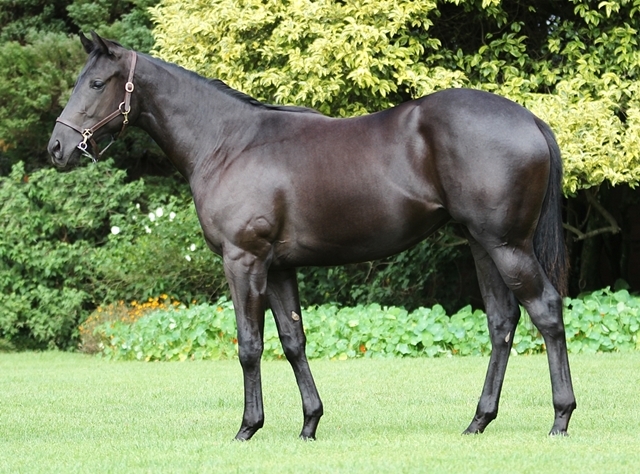 A smashing full sister by Crusade to Subtropical sold to the Tawny Syndicate in May at the National Yearling Sale for R200 000 – who have links to Matador Man (by Toreador). Sahara herself raced for Dennis Drier, a speedy four-time winner who placed second in multiple Gr2 and Gr3 races. Robin Scott has always been adamant that the impeccably bred Mogok, who has produced four Gr1 winners – two of those in America – will be a broodmare sire in future to be reckoned with. Sahara’s four yearlings that have sold at sales have averaged an impressive R202 500 each. After the running of the Darley Arabian (Listed), where AP Answer’s Cutting Edge finished third behind Maximizer for owner Alesh Naidoo and KZN stalwart No Worries in fourth for the Burnards, the Sean Tarry-trained Matador Man impressed with a third in a very strong Gr1 winning field of the Champions Cup. Slow out of the stalls when the gates crashed open, Secretariat Listed and Million Mile winner Matador Man lost approximately five lengths at the start, under a clever ride from S’manga Khumalo the Toreador gelding quickly caught up to the pack. 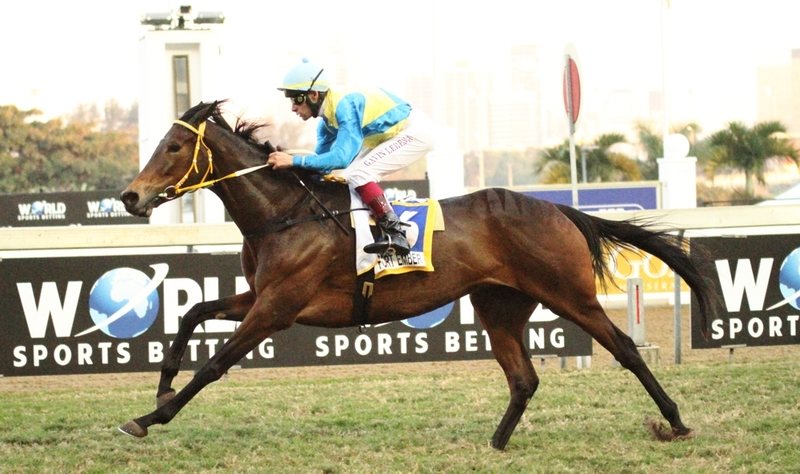 Matador Man flew up to finish in third in front of multiple Gr1 winner Bela-Bela and just two lengths off the winner Sail South and Gr1 Gold Challenge winner Captain America, leaving the likes of Gr1 Vodacom Durban July winner Marinaresco and Gr2 winner Ten Gun Salute in his wake. We can look forward to much more to come from the son of Toreador in the future – partly owned by breeder Robin Scott, along with the owners of dual Gr1 winner Bull Valley (by Toreador). Bush Hill resident sire Toreador has had a sparkling season indeed, with two Gr1 wins from son Bull Valley. The Gr2 Gold Bracelet was won by a grand daughter of Kahal, Fort Ember, in a double for the raiding Paul Peter stable. Going off at 16/1, Fort Ember beat Nightingale by almost two lengths with KZN-bred Gr3 winner, the beautifully-bred Summerhill-bred Witchcraft by Kahal, finishing in third for the Sean Tarry stable just two lengths off. Witchcraft carries an impeccable pedigree; out of a Kingmambo mare Deceptive Charm – in turn out of a Sadlers Wells / Mill Reef mare. Her third dam, Gr2 winner Fleur Royale, was the 4th Top Rated 3-y-o filly in Ireland in 1986. The female line has produced sires Levmoss, Ascot Gold Cup winner Le Moss and South African champions Mosszao and Autumn Lodge. Day two of the Gold Cup festival continues today, with a number of Graded Stakes races on the cards. Congratulations to all concerned above.